There are various aspects to relationships. Those we are in now, those that have ended through a breakdown of the relationship and those that have come to an end due to a bereavement. If you are looking for help following the passing of a loved one, please click here. Why is my relationship struggling? Relationships can be one of the most rewarding parts of our lives. Whether the relationship is with a work colleague, family member, friend or lover, everyone will experience good and bad relationships at some point. Good relationships help us become happy, secure and confident individuals. Bad relationships can be very destructive and affect every other aspect of our lives. It is important to identify any problems early on. The sooner you attempt to resolve the problems the less time they have to grow and fester. Communication is key but it isn’t always that simple. Different upbringings, different life experiences and different events all work to shape who we are. These are ongoing and as individuals we learn and grow. Our values and beliefs can vary greatly depending on the lives we have led. We can struggle to always be on the same page as our loved ones even though we might have been in the past. Our perspectives may be different but we can still learn to respect each others thoughts and feelings. If we can achieve this we are half way there. – Wanting to work on communication skills. – Wanting to improve your current relationship. – Feeling unloved in your current relationship. – Trying to increase the romance in your relationship. – Trying to better understand your partner/colleague/friend. – Deciding whether or not to stay in the relationship. – Unwanted divorce or separation. – Trying to find the right partner. – Being bullied at work or by a family member. – Feeling trapped in toxic or abusive relationship. How NLP and Hypnotherapy can help? – Working with you to improve your confidence so that you are better equipped to handle situations. 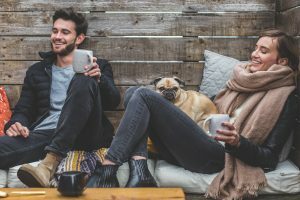 – Rebuilding and investing in your relationship with some simple techniques. – Resolving past issues by helping you see it from the other persons perspective. – Helping you remember how you used to feel about this person and recapture those feelings. – Learning relaxation techniques so that you can be more calm when resolving issues. – Working on your resilience and confidence if you decide to walk away. Call me now on 07738 219 464 to discuss what you want to achieve and find out how I can help you achieve it. If you prefer you can click on the link to the contact me page below.